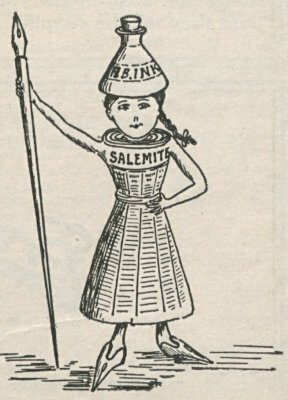 In partnership with Salem College’s library, hundreds of early issues of The Salemite, the school’s student newspaper, are now available on DigitalNC. The Salemite has been published continuously under that name from 1920 until the present day. 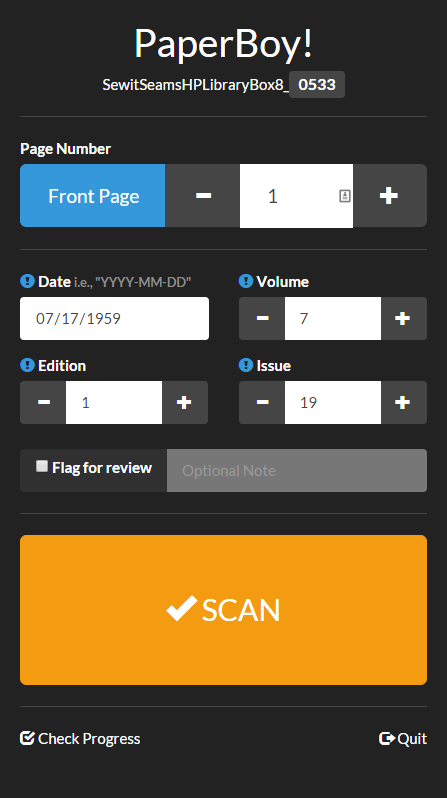 We’ve just finished digitizing issues from 1920 through 1948. 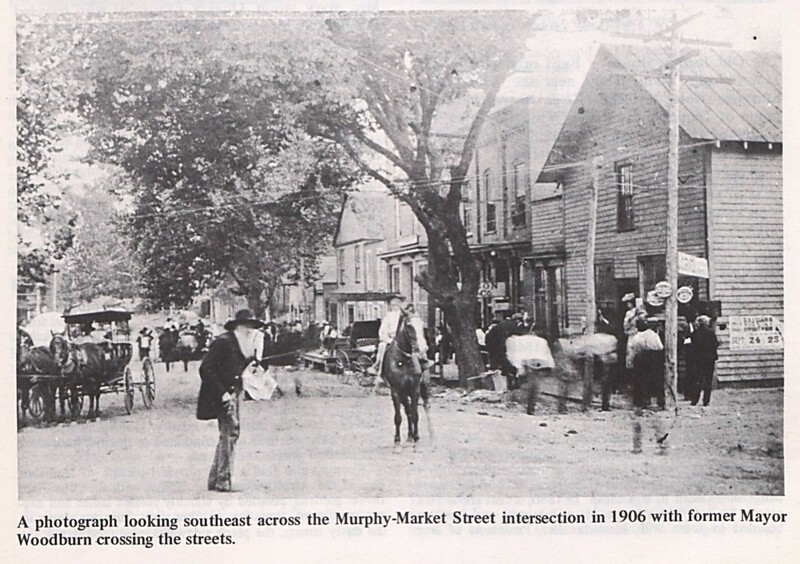 These early issues of the paper include school news, advertisements from local merchants hoping to attract the business of the student body, and announcements of events both on campus and in the surrounding Salem community. As with many school papers, social anecdotes and inside jokes abound. Formed by Moravians in 1772, the school now known as Salem College is recognized as one of the oldest women’s colleges in the nation. 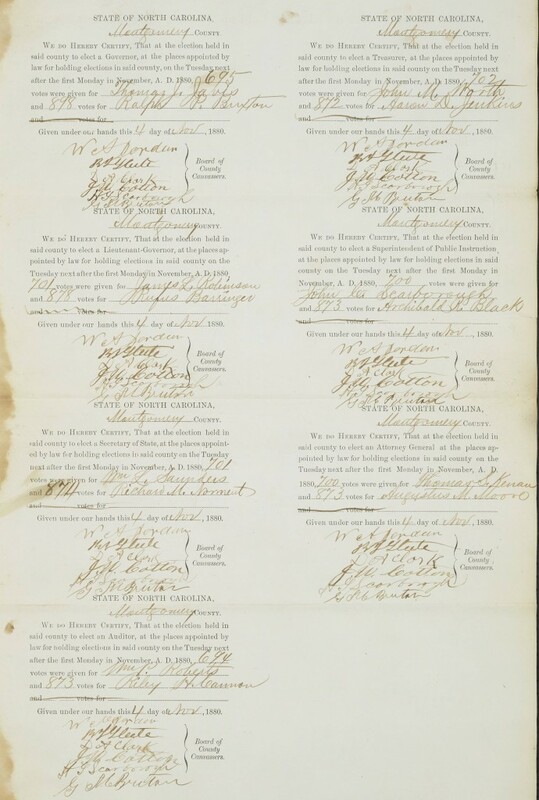 We have also partnered with Salem College to digitize their yearbooks and other historic items. You can view all of these, along with The Salemite, at DigitalNC. In the early 1960s, North Carolina’s state government created a Film Board to “portray and illuminate the people, problems, themes, and life of the State” (Oettinger 1964/1965, p. 1). Championed by Governor Terry Sanford, the Board operated from 1962-1965 and created 19 films. As part of our recent audio-visual project, the Charlotte Mecklenburg Library and the North Carolina Collection at UNC-Chapel Hill’s Wilson Library contributed eight of these films for digitization. The Board aimed to produce films that were documentary in nature, looking at different industries, locations, or segments of the population. Some addressed politically charged issues; the Minority Report series is a stark exploration of race relations. 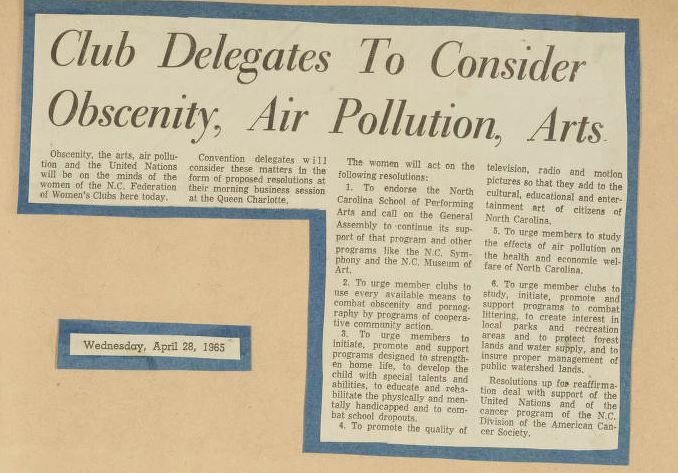 “Goodbye to Carolina,” was coordinated with the help of the Intercollegiate Council for Human Rights, chaired by then A&T student Jesse Jackson. 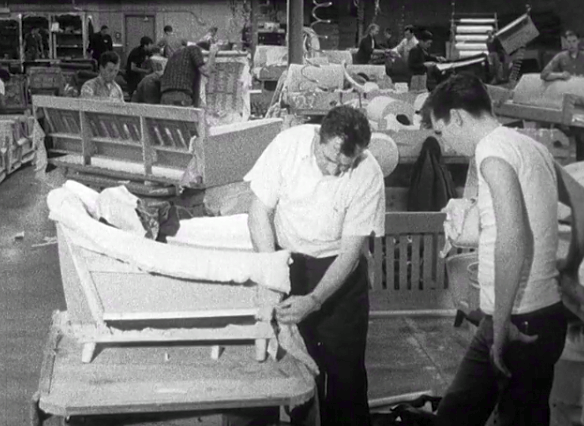 The Ayes Have It (1963) A behind-the-scenes look at the North Carolina General Assembly. Goodbye to Carolina (1964) Interviews with North Carolina A&T College (now University) about their reasons for seeking jobs outside of North Carolina. A Knocking at the Gate (1964) Interviews with North Carolina College (now North Carolina Central University) students about civil rights. North Carolina’s Tribute to President John F. Kennedy (1964) Covers the memorial ceremonies for the late President held at UNC-Chapel Hill. 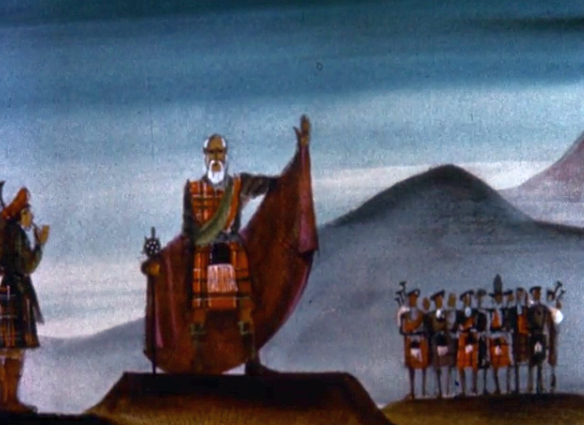 The Road to Carolina (1963) Commissioned by the NC Tercentenary Commission and created for eight graders, this illustrated film recounts the first hundred years of the state’s colonial history. The Search for Excellence (1965) Follows rural residents’ experiences as communities around the state were consolidating educational resources and schools to a centralized model. The Vanishing Frontier (1963) The state’s Appalachian communities are documented through first-hand accounts with citizens, revealing the area’s “poverty and promise” (Ferrara, p. 28). Welcome to Work: The Siler City Story (1964) Describes the changes in Siler City as it transitioned from an agricultural-based to an industrial-based economy. Big Fish, Little Fish (1965) Discusses the challenges and opportunities facing North Carolina’s coastal fishing industry. The Piedmont Crescent (1968) Shows the development of the North Carolina Piedmont from geographical and industrial perspectives. Why We Kill (1965) Six men discuss their reckless driving. North Carolina, The Goodliest Land (1970) A “mood poem” about North Carolina, including scenes from all seasons. Food and the Future (1964) Looks at the food processing industry from farmer to consumer. Mirror of the Past: Tryon Palace (1964) Describes the history and restoration of North Carolina’s Tryon Palace. It’s interesting to see the film topics chosen during this time period. Instead of shying away from hot button issues or glossing over the widespread demographic, economic, and social changes of the era, the Film Board tackled them with a freer hand than might be expected. Such ambitious and frank efforts eventually contributed to the Board’s dissolution. 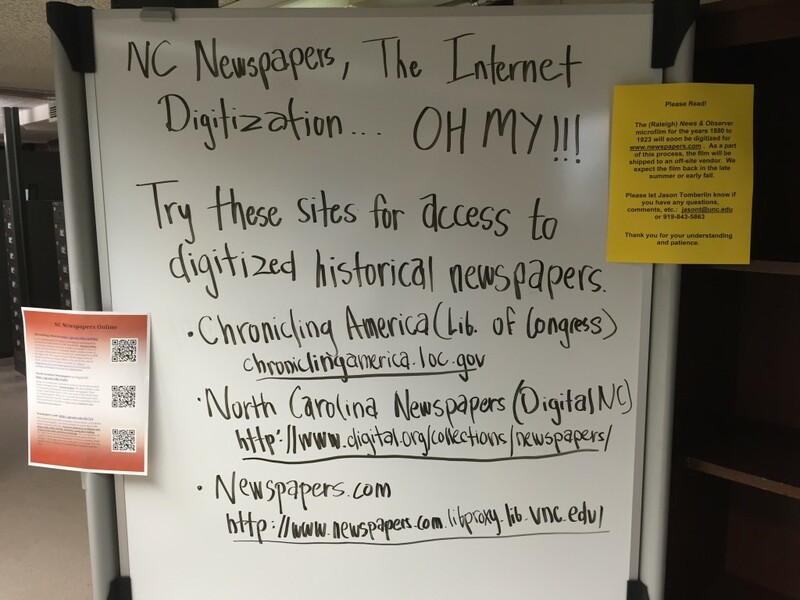 You can view additional items on DigitalNC from the Charlotte Mecklenburg Library and the University of North Carolina at Chapel Hill. Ferrara, Susan E. “The Demise of the North Carolina Film Board: Public Policy Implications.” M.A. thesis., University of North Carolina at Chapel Hill, 1981. Oettinger, Elmer. “The North Carolina Film Board: A Unique Program in Documentary and Educational Film Making.” The Journal of the Society of Cinematologists 4/5 (1964/1965): p. 55-65. 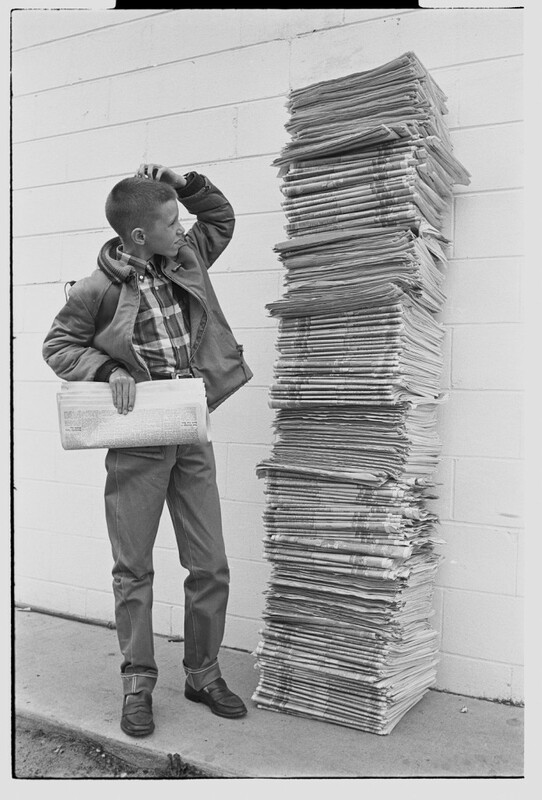 After reading a recent Washington Post story about the discovery (in digitized newspapers!) 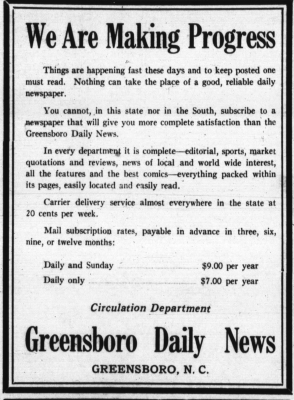 of old classified ads with “No Irish Need Apply” statements, and seeing a tweet of a “No Scandinavians Need Apply” ad, I wondered about similar discriminatory statements in old North Carolina newspapers on DigitalNC. Not surprisingly in a state with such a large population of migrants from Ireland and Scotland, the only mention of “No Irish Need Apply” was either in comic stories reprinted from other papers or news of discrimination in other cities. 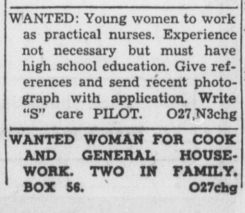 The Pilot (Southern Pines, N.C.), October 27, 1944. Hickory Democrat, January 16, 1913. Even more common were ads that specified the race and gender of the applicant. 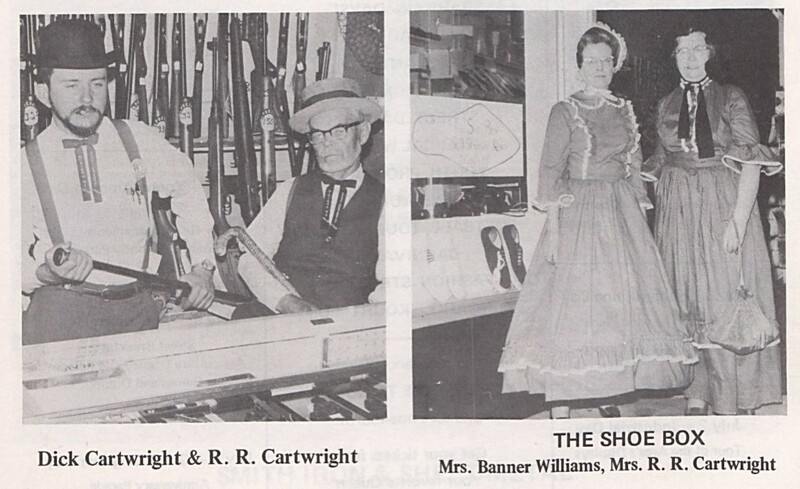 These ads span several decades, demonstrating that in North Carolina there was a clear racial divide in employment throughout much of the twentieth century. Waynesville Mountaineer, June 4, 1946. The Enterprise (Williamston, N.C.), October 28, 1904. The News Journal (Raeford, N.C.), April 7, 1955. The Duplin Times (Warsaw, N.C.), October 31, 1947. The Danbury Reporter, January 28, 1925. After seeing excellent “Dog Days of Summer” blog posts from our friends at NC State and Duke, we couldn’t resist following up with a few of our favorites from the many dog photos on DigitalNC. No North Carolina-related dog feature would be complete without a Plott Hound. 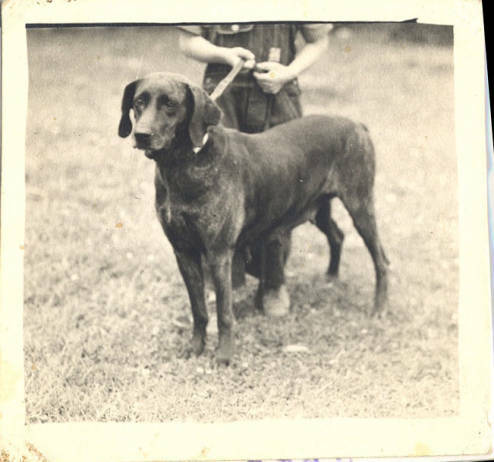 This photo from the Haywood County Public Library shows not just any Plott Hound, but the original: “Dan” was the first Plott Hound to be registered after the United Kennel Club recognized the breed in 1946. 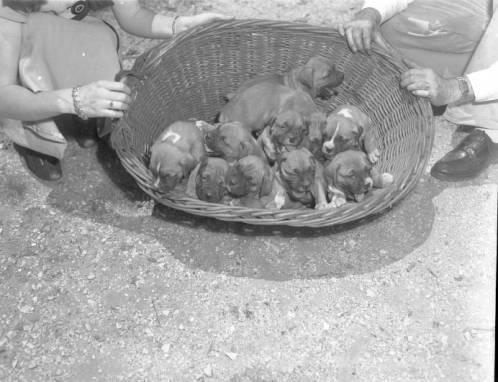 The prize for cutest dog photo on DigitalNC has to go to this one, puppies in a basket, from the William Hoke Sumner collection at UNC-Charlotte. 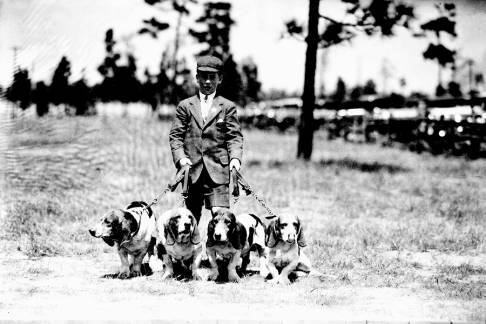 This young man with a pack of Basset Hounds is heading to a dog show in Pinehurst in 1935. Photo from the Tufts Archives. No hunting party would be complete without a dog. 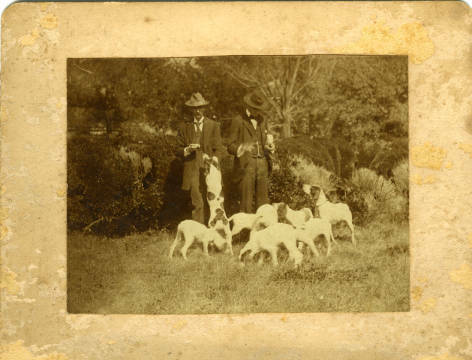 This photo, from the Davie County Public Library, shows a group at the Coollemee Plantation. 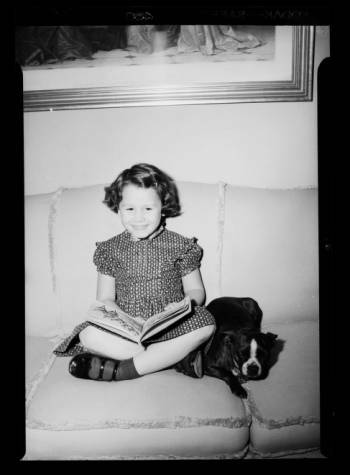 As this 1951 photo from the Braswell Memorial Library in Rocky Mount attests, there is no better reading companion than a dog. 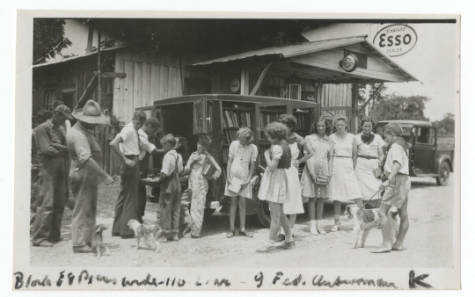 And no dog loved books more than Jim the Library Dog, a fixture on the front seat of the Rockingham County Bookmobile as it traveled around the county in the 1930s. 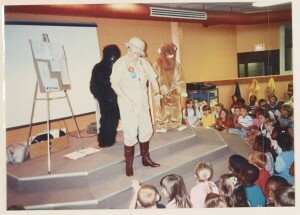 Photo from the Rockingham County Public Library. You can see Jim in action in the silent film showing the bookmobile that we recently shared online. But our favorites have to be the dogs we spot occasionally in old yearbooks. Apparently UNC-Chapel Hill was a hotbed of canine education in 1977. We found two dogs in the Yackety Yack from that year. The photo at top is identified as Sarah Abercrombie, a senior from Dixmont, Maine, while the bottom photo shows Poco Medford, a graduate student from Carrboro. We trust that both Sarah and Poco put their education to good use and went on to long and distinguished careers. 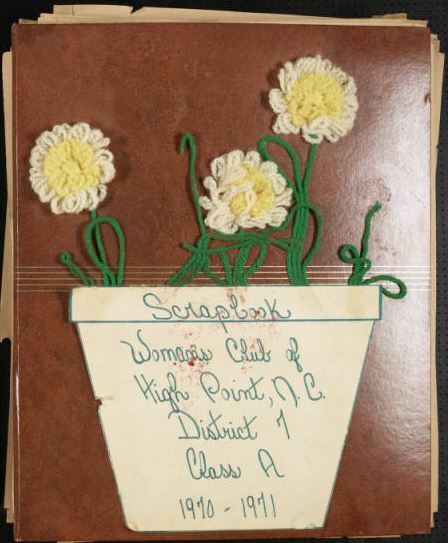 Ten new scrapbooks by the High Point Woman’s Club and a number of Point-Crest Newspapers, a periodical published by the High Point Weaving Company and Hillcrest Throwing Company, have been digitized and uploaded to DigitalNC. The scrapbooks give details of the club’s activities throughout the years 1957 to 1958 and 1961 to 1971. 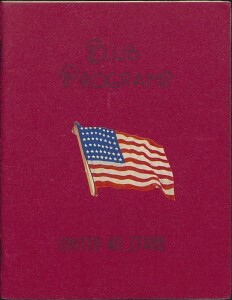 The High Point Woman’s Club took part in a wide variety of activities and made it a point to become involved in a number of local and even international issues that were of great importance at the time. They hosted a number of speakers, including Ralph Nader, who discussed a variety of issues such as homeland security, national affairs, and travel. The group was also involved with the United Nations, and UNICEF in particular. 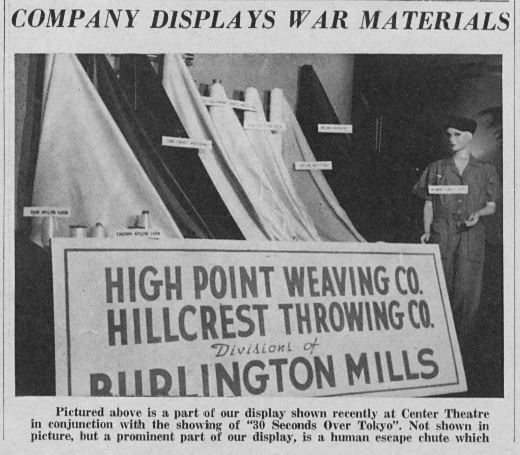 The Point-Crest newspapers cover the years 1945 to 1947 and, as the product of the companies listed above, much of the content is related to the textile industry and the doings of these particular companies. However, the newspaper is not all business and work. 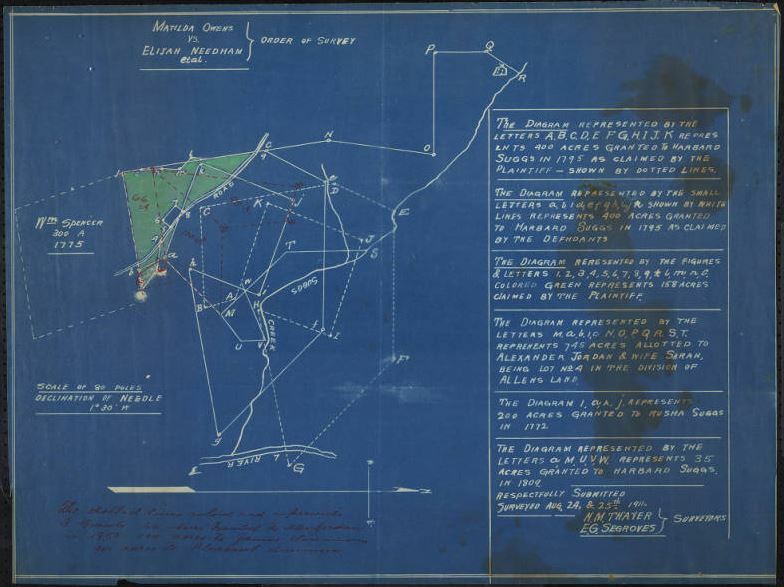 The paper notes extracurricular activities in which the companies were involved as well, such as the Hillcrest Girls’ Softball Team, who won their league championship. 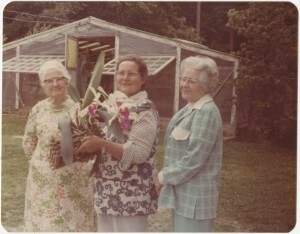 For more information about the High Point Woman’s Club and the other materials that DigitalNC has digitized from them and the High Point Museum, see this previous blog post.